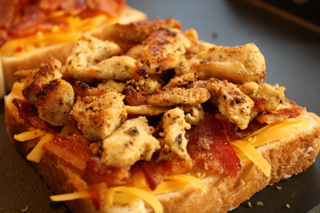 One of my favorite sandwiches of all time is the Chicken Cheesy Melt from a local restaurant. 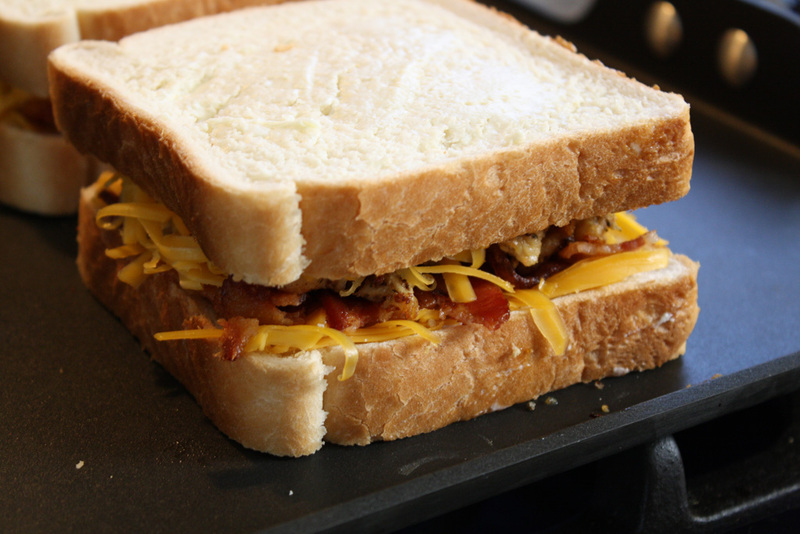 Bacon and chicken surrounded by cheese and sandwiched between two slices of Texas toast... what's not to love? The kicker: homemade ranch. It is to die for! So I set out to recreate the sandwich and attempt my hand at homemade ranch. As it turns out, ranch is relatively easy to make and tastes waaaaaay better than the stuff in the bottle! 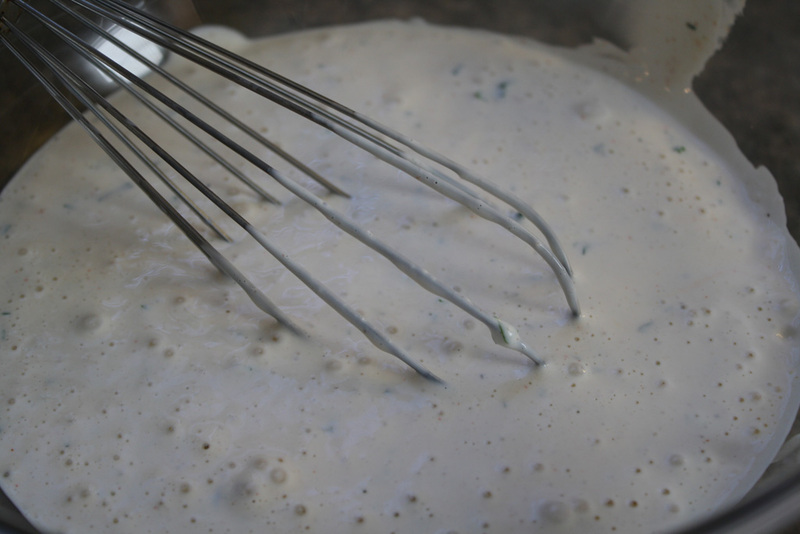 In a large bowl, combine the sour cream, mayo, and Worcestershire sauce. 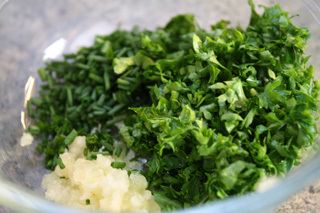 Then mix in the minced garlic, parsley, dill, and chives. Add the onion powder, black pepper, salt, and paprika. Finally, mix in the buttermilk slowly until it reaches the desired consistency (about 1/2 cup). Taste the ranch and add spicing as needed. Set aside. Start by washing and cutting up the chicken into 1" pieces. Put in a medium frying pan with the Montreal chicken seasoning and olive oil. 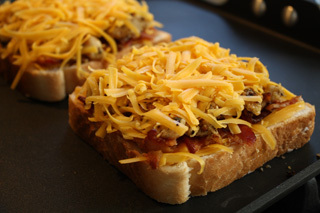 Cook on medium-high heat until internal temperature reaches 165F. Meanwhile, start the bacon in a frying pan (OR just go ahead and cook a whole pan of bacon in the oven at 375F for 20-25 minutes; leftover bacon is great for breakfast). Butter one side of each piece of bread. On a griddle, place one piece of bread buttered side down. Top with half the cheese, then the chicken and crumbled bacon, the remaining cheese, and other half of the bread (butter side up). 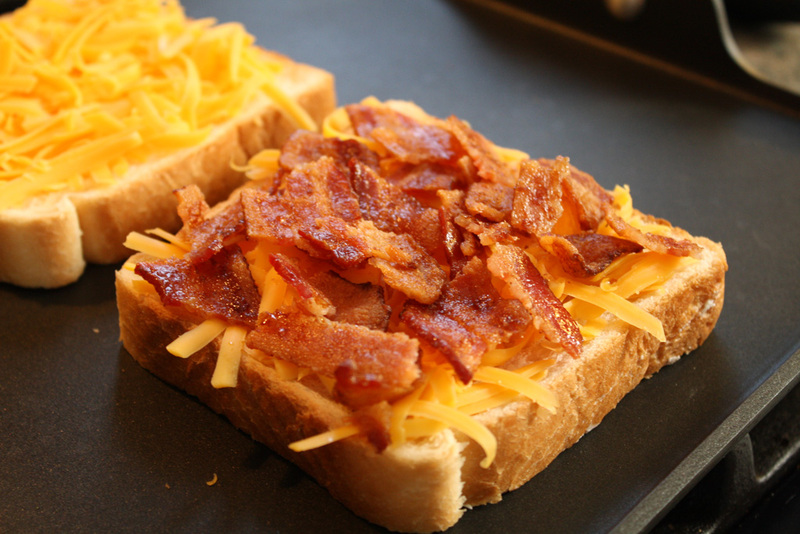 Cook on medium-high heat for about 3 minutes on each side or until golden brown. 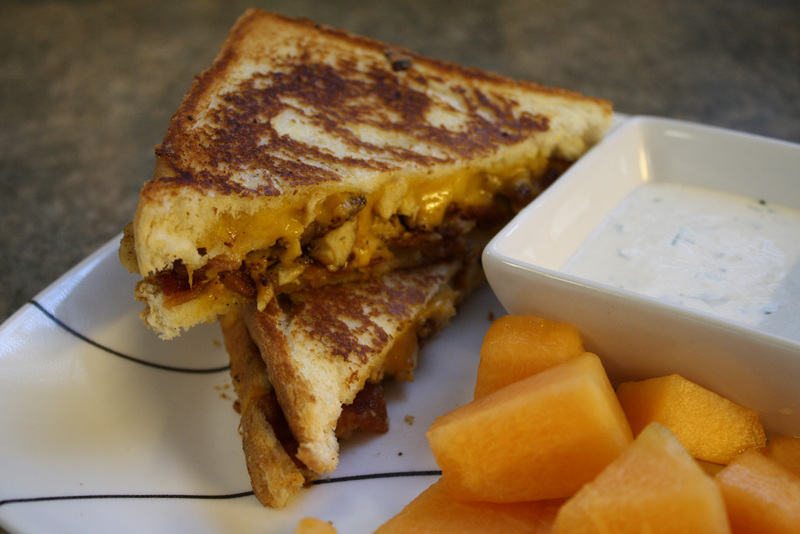 The cheesy chicken melt goes great dipped in the homemade ranch dressing. Enjoy yours with a side of chips or some tasty fruit!